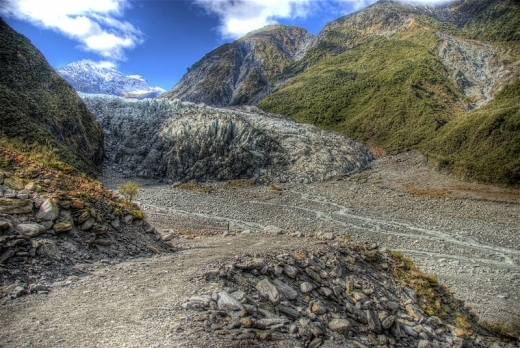 The Fox Glacier (Te Moeka o Tuawe in Māori) is a 12 km long glacier located in Westland National Park on the West Coast of New Zealand's South Island. 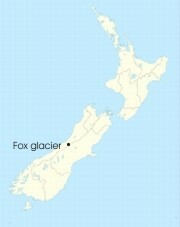 It was named in 1872 after a visit by the then Prime Minister of New Zealand, Sir William Fox. 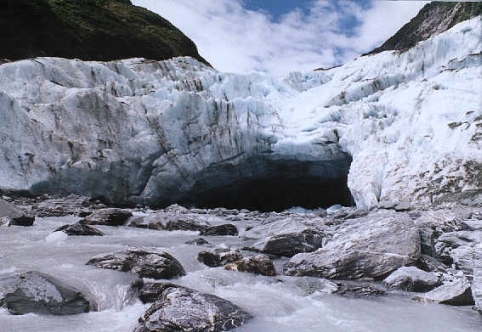 Fed by four alpine glaciers, Fox Glacier falls 2,600m on its 13km journey from the Southern Alps down to the coast, with it having the distinction of being one of the few glaciers to end among lush rainforest only 300 metres above sea level. Although retreating throughout most of the last 100 years, it has been advancing since 1985 at an average of about a metre a week. The outflow of the glacier forms the Fox River. During the last ice age, its ice reached beyond the present coastline, and the glacier left behind many moraines during its retreat. Lake Matheson formed as a kettle lake within one of these. 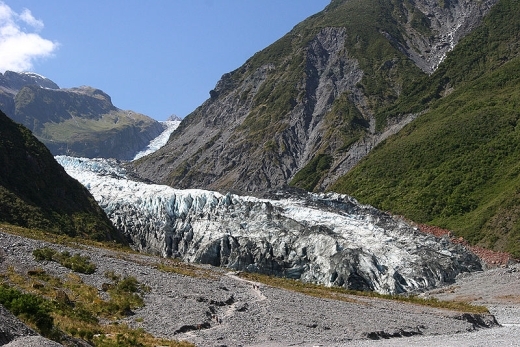 Like the nearby Franz Josef Glacier, it is one of the most accessible glaciers in the world, with its terminal face an easy walk from Fox Glacier village/Weheka. It is a major tourist attraction and about 1000 people daily visit it during high tourist season. Though people are told not to, some go beyond the barriers and climb without guides onto the glacier, whose rapid advance creates dangers of sudden ice and rockfalls. Fox Glacier township/Weheka, 6 km away from the glacier, functions mainly as a service centre for tourists, though it also services the local farming community, which had been its main focus until the 1990s (though tourism started as early as the late 1920s). The approximate township site had been gazetted as early as 1866. 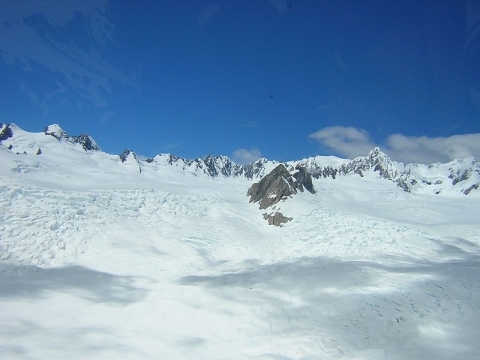 Bruce Bay is 46 km to the south-west of the township, and Franz Josef is 23 km north-east. State Highway 6 runs through the town. The population was 378 in the 2006 Census, an increase of 123 from 2001.